Stock market performance report for Friday 8th of February 2019 below. JSE Combined Index – 8.5m shares / $213.0m traded. Ordinary Shares – Main Market – 7,747,541 shares, 33 stocks traded, 15 not traded. 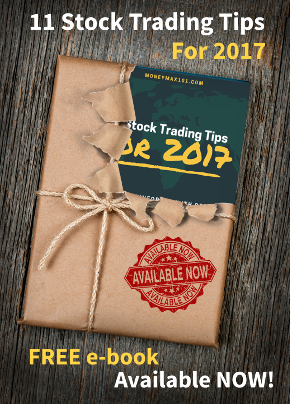 Ordinary Shares – Junior Market – 808,765 shares, 19 stocks traded, 15 not traded. Preference Shares – Main Market – 14,349 shares, 3 stocks traded, 17 not traded. Jamaica Broilers Ltd (JBG) shares advanced 13.40% or +3.90 to close at J$33.00 with 58,277 shares traded. Jamaica Producers Group Ltd (JP) shares advanced 3.77% or +0.83 to close at J$22.83 with 17,568 shares traded. AMG Packaging & Paper Company Ltd (AMG) traded between -1.64% and 6.56% above yesterday’s closing price of J$2.44 ( from J$2.40 to J$2.60) . It closed at J$2.49. Indies Pharma Jamaica Ltd (INDIES) traded as high as 6.08% above yesterday’s closing price of J$2.96 (between J$2.96 and J$3.14) . It closed at J$2.97. Lasco Distributors Ltd (LASD) traded between -2.63% and 5.26% above yesterday’s closing price of J$3.80 ( from J$3.70 to J$4.00) . It closed at J$3.73. Honey Bun (1982) Ltd (HONBUN) traded as high as 4.05% above yesterday’s closing price of J$3.70 (between J$3.70 and J$3.85) . It closed at J$3.80. Scotia Group Jamaica (SGJ) traded between -1.60% and 3.95% above yesterday’s closing price of J$51.94 ( from J$51.11 to J$53.99) . It closed at J$52.99. GWest Corporation Ltd (GWEST) traded between 0.69% and -9.72% below yesterday’s closing price of J$1.44 (from J$1.30 to J$1.45) . It closed at J$1.44. Proven Investments Ltd (Proven) traded as low as -9.09% below yesterday’s closing price of US$0.2200 (between US$0.2000 and US$0.2200) . It closed at US$0.2100. Radio Jamaica Ltd (RJR) traded as low as -6.98% below yesterday’s closing price of J$0.86 (between J$0.80 and J$0.86) . It closed at J$0.85. Carreras Ltd (CAR) traded between -0.21% and -5.26% below yesterday’s closing price of J$9.50 (from J$9.00 to J$9.48) . It closed at J$9.47. CAC 2000 Limited (CAC) traded at -3.85% below yesterday’s closing price of J$13.00. It closed at J$12.50.